Former England International Rugby Union player who now coaches in the game. The Askeans, Streatham and Wasps prop was selected in England´s squad for the 1987 Rugby World Cup, but Probyn did not make his international debut until 1988, at the age of 31, against France. Left out of the 1993 Lions squad which toured New Zealand, Probyn toured South Africa with a World XV in 1989, and was a member of the Wasps FC side which won the English Courage league in 1990. Along with Stuart Barnes, Wade Dooley, Mike Teague, Peter Winterbottom and Jon Webb, Probyn wore the England shirt for the last time in a 17-3 defeat by Ireland at Lansdowne Road in 1993. In total, he won 37 caps for England and scored 3 tries. Probyn was fairly slight for a modern international prop, and a good part of his effectiveness can be explained by his unusual physique: his bony shoulders sloped at a sharp angle, and his hips were widely set. In silhouette, he somewhat resembled a Christmas tree. After retirement from playing, Probyn was a member of Club England, the Rugby Football Union Committee. After leaving the RFU, Probyn was critical of cross-code transfers, such as that of Andy Farrell. 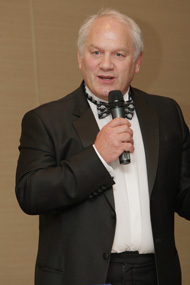 Probyn is an Honorary President of Wooden Spoon, the charity of British and Irish rugby. Probyn is also a regular on talkSPORT as their expert on the Guinness Premiership on The Sunday Session, and co-presenter alongside Rhodri Williams on The Rugby Show. He is also recognised as one of the best rugby speakers on the after dinner circuit.